The relaxed fit of the Barbara top makes it a great staple for any wardrobe. 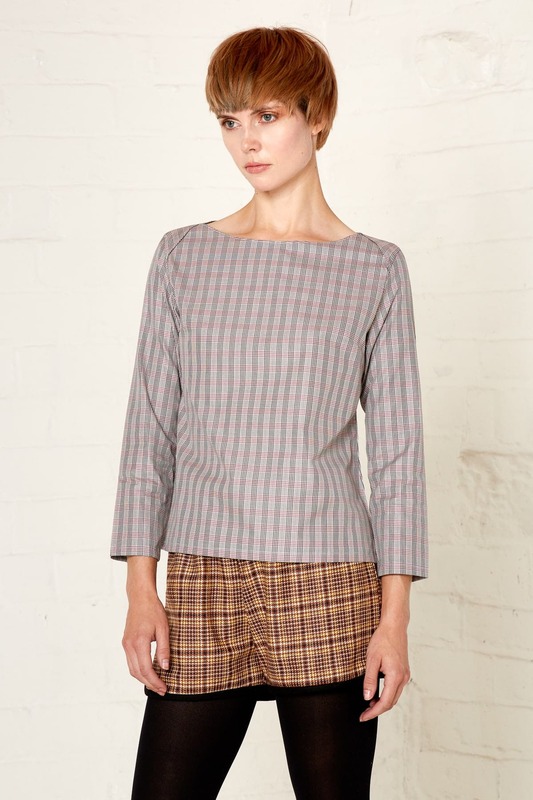 It has a wide boat neck and a subtle drop sleeves, creating a lovely, slender shape through the shoulders. Straight sleeves finish just above the wrist and the loose drape brings out the gorgeous sheen of the fabric. The top is available in two colours: a cool blue check that can be easily dressed up or down, or a grey version that would suit neutral tones. The top is made with roll end fabric and production of each colour option will be limited to 30 pieces.